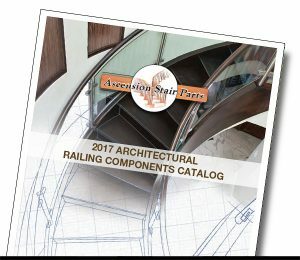 Ascension Stair Parts® is dedicated to continue and expand our architectural railing systems while bringing the market affordable, attractive and unique designs through the integration and combination of various metals, glass and natural materials. We offer a wide range of stainless steel, glass and cable products as well as a full compliment of hardware and wood components designed specifically for use with stainless/glass/cable. Click here or on the image at above to download our architectural products brochure.